Winning the last event of the season would be the cherry on top for Quantum Racing who are 31 points clear at the top of the standings. For those four boats that really are engaged in the scrap for the second and third steps on the podium – that is Azzurra, Platoon, Sled and Luna Rossa – victory would ensure their best possible overall finish. , who made his mark with the Mascalzone Latino team in Valencia during the 32nd America’s Cup said. 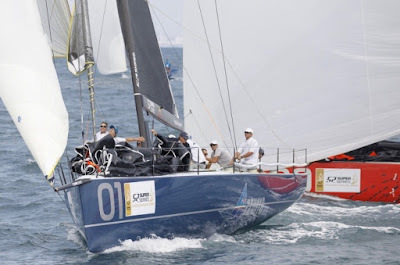 Ergin Imre’s Provezza lie eighth on the leaderboard, which is disappointing for a team that finished fourth overall in 2017 and scored two podium places, including a regatta win in Puerto Portals. But they have proven to still have all the tools, talent and firepower to win an event. “We have ended up on the back foot a little, whether we have ‘ended up there’ or ‘put ourselves there’ I don’t know, but we are looking to do a bit of a reset for next season and obviously finish on a high note. Everyone has put in the biggest effort they can and we are looking at each other and saying OK let’s make this fun and see if we can come away with a podium, knowing that the top guys have a few potential distractions, some match racing," said tactician Tony Rey. We want to go out and bang off a few good races. And with the conditions we saw over the last few days, there is going to be a lot of inside-out on the scoreboard this week. There is no reason we can’t win. I have said before whoever wins this event has to do all the little things well, and then get a little bit fortunate out there with the shifts,” he added. “That’s the first time we have ever won a practice race. But we had no choice, we had nowhere else to go.We all enjoy it here, but it is a very demanding venue. It is going to be intense for sure. And maybe a couple of personal relationships in the fleet will be endangered for a couple of days, but hopefully we will be all good at the end of the week, all friends again. The forecast is for light, light conditions, and so it will be a good test for the tacticians, for the helms and the trimmers,” Azzurra skipper-helm Guille Parada said.